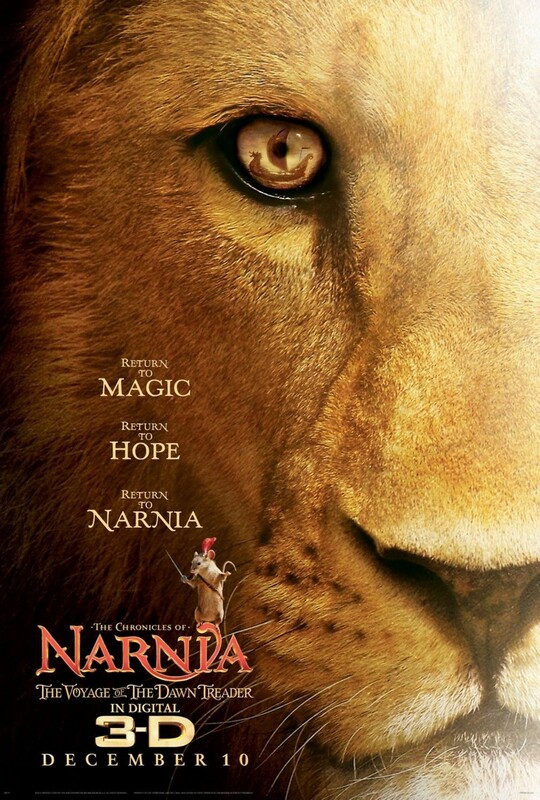 The Chronicles of Narnia: The Voyage of the Dawn Treader DVD and Blu-ray release date was set for April 8, 2011. In the third iteration of the Narnia films, Edmund and Lucy find themselves stuck at a relatives house with their annoying cousin Eustace, who makes fun of them for their 'fairy tales.' What they don't realize is that he will soon see Narnia for himself. When Caspian uses a magic horn to call for help, the three fall through a painting and into the sea beside the Dawn Treader to join Caspian on his voyage to find seven noblemen who set sail years before. Along the way, Caspian finds love, Reepicheep achieves his dream, and Eustace becomes the man he always could be, with Aslan's help. The end sees Edmund and Lucy leaving Narnia for the last time, but promises Edmund more adventures.